Education | Shelby White - The blog of artist, visual designer and entrepreneur Shelby White. http%3A//videos.bloomberg.com/66626118.flvWe all know just how much Steve Jobs has done for our industry. It’s a sad time to see him pass on. He and the Apple team have completely changed the world through inspiring and uniting all those who have, wish to have, or own Apple products. As a reminder of where we would be standing right now without the work of Apple, I’d like to share this full documentary with you. The documentary was aired on Bloomberg in 2010 and is 48 minutes long and every minute is worth watching. Share this with those also using Apple products. 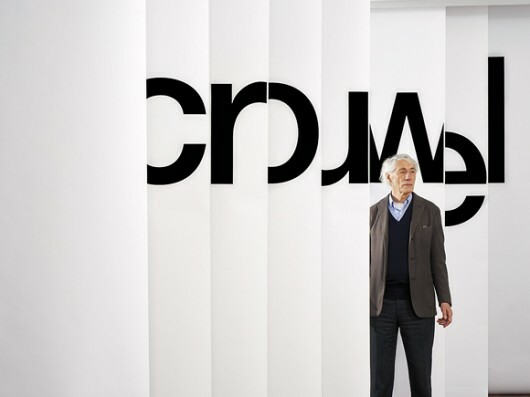 Wim Crouwel is right when he says, “On the other hand, finding your way now is much more difficult than my time”. Finding your way and making a name for yourself nowadays is difficult. It seems every way you turn there is someone doing the same thing that you’re doing. That should not be discouraging however. Sticking to what you love should be easy and spending time doing it should be even easier. 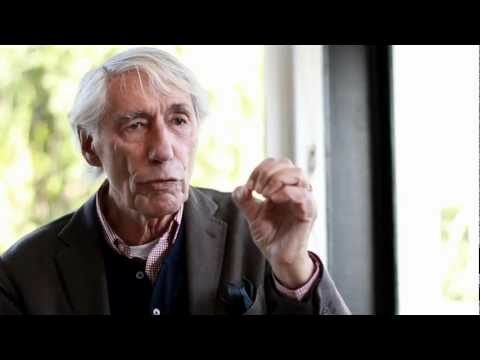 Although Crouwel is referring to young designers, the advice here is still quite relevant all designers. 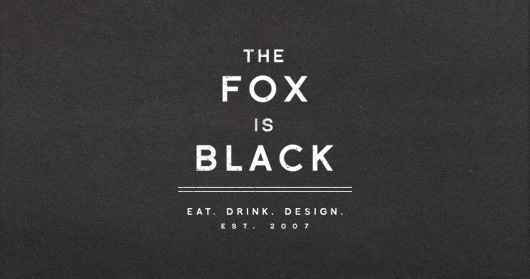 Bobby Solomon talks about the starting of his blog The Fox is Black and his career on Creative Mornings in Los Angeles. It’s always nice to hear how fellow designers have come to their career choice. When starting out I thought I wanted to just shoot photos but was pulled towards design. As of now I’ve found myself interested in some areas of development, but at the same time wanting to just focus on design. Check out more Creative Morning talks here. Massimo Vignelli is perhaps one of my favorite designers. Although his work is rather stunning in itself, it is his personality and way that he speaks that truly intrigues me. A meeting with him for a day would be euphoric. The amount of knowledge that could be had just by listening in for even a few hours would be quite substantial. After watching the video four times already and working on the fifth, I’ve pulled what I feel are three of the most important pieces from this video. Many things come to mind after hearing Vignelli say this. All of which I try to apply to all of the design work I do. For example, a lot of the international style or Swiss design is simple. 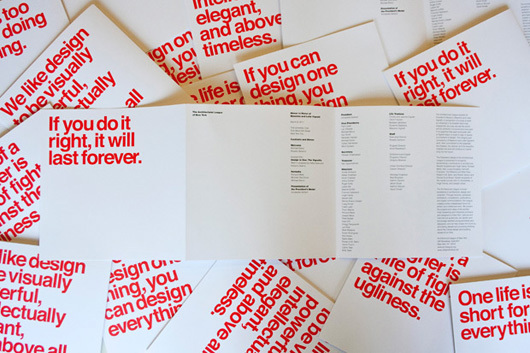 It is now very prominent in our inspiration folders—it is good design. If you’re done with the video now, watch it a second time. Perhaps you can pull some other insights from it.